The 2018 V12 DB11 embodies all that is great about Aston Martin. that you too can drive on our tracks. will politely push you back in the seat. Drive an Aston Martin on a Racetrack! Meet the Aston Martin Vantage; seductive exhaust sound; compliant ride; excellent handling, impeccable interior and gorgeous styling. The V8 Vantage is a revered car and an iconic part of the Aston Martin model range. A car which took directly from our GT4 race program. Aston Martin designers and engineers worked to produce a unique package of intense driver involvement. Aston Martin blends all the luxury and style of a world class touring vehicle with all the performance of a true sports car. This 4.7L V8 delivers 430 hp with a top end of 190 mph. This iconic brand is packed with cool sophistication and beautiful body styling unmatched by any other vehicles of this type. "The thing I love most about the Vantage is that it's truly a gentleman's supercar. Great brakes, comfortable, neutral handling, a keen attention to detail, and a wonderful exhaust note. A car that can be flogged around the track during the day, and classy enough to be parked in front of my favorite restaurant at night." The new Aston Martin DB11 is the most powerful Aston Martin ever made. The all-new, 5.2-liter twin -turbo V12 produces 600 horsepower that takes it from 0-60 MPH in 3.7 seconds, and on to a top speed of 200 MPH. All the hallmarks of an Aston Martin are here. Style and luxury blended with brutal performance. Once you're behind the wheel on track, the DB11 feels nimble and responsive thanks to the aluminum chassis and active damping control. 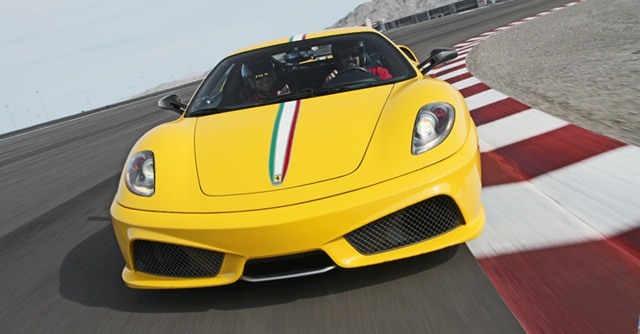 Plus, with all that power, the acceleration out of the corners is breathtaking. "The Aston Martin DB11 is one of those Jekyll and Hide cars. Beautiful and luxurious on the one hand, and raw and powerful on the other. 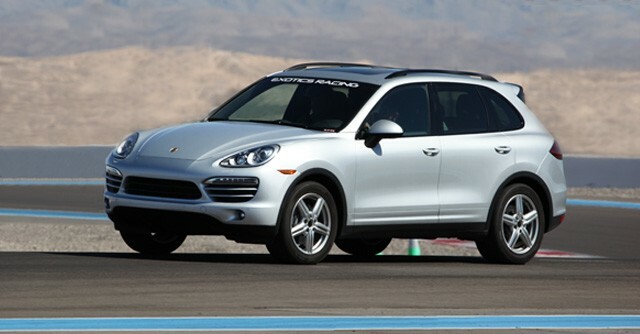 Get it on track, put it in Sport mode and let it run loose. Despite its size, the DB11 handles superbly with exceptional balance on corner entry and exit." 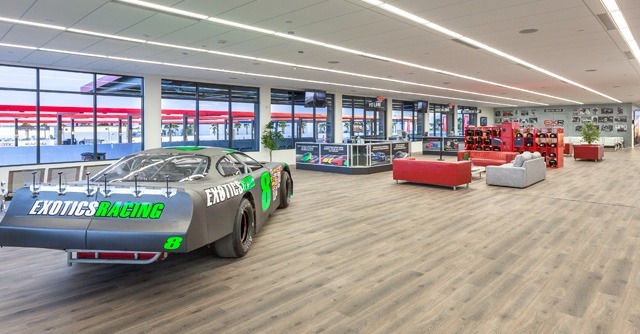 Located on the grounds of the Las Vegas Motor Speedway, our exclusive 1.2-mile racetrack was designed by professional racing drivers to highlight our supercars performance capabilities. 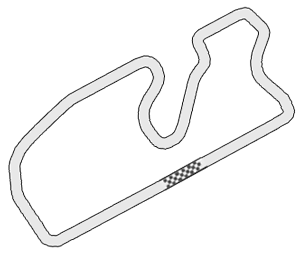 You'll find an example of many turns found on the world's greatest racetracks including hairpins, double apex corners, fast sweepers, chicanes, 90-degree corners and even a banked turns as well as large runoff areas, the latest high-tech safety barriers, and even the only in-ground LED lighting system in the US.  Within our 1.5-mile racetrack, designed by professional racing drivers, you'll find an example of many turns found on the world's greatest racetracks including hairpins, double apex corners, fast sweepers, chicanes, 90-degree corners and even a banked turns. 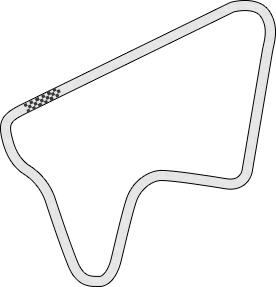 With large runoff areas, the latest high-tech safety barriers and the only in-ground LED lighting system in the US, this track has been ideally created for both racing school and competition events in Las Vegas. Our private 1.2-mile track is located on the grounds of the iconic Auto Club Speedway in SoCal and is a treat to drive for every driver. 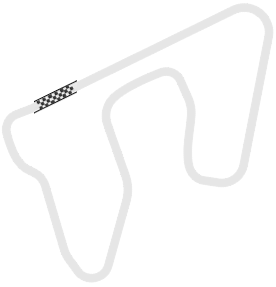 The unique configuration of this track presents many challenges for our high-performance supercars including a 1,600 ft. straight and both low and high speed turns. The best safety technology includes large runoff areas and TecPro Formula One safety barriers. Built to standards like no other racetrack in the nation, Spring Mountain Motor Resort and Country Club is set against a stunning mountain backdrop just 45 min West of the Las Vegas Strip. 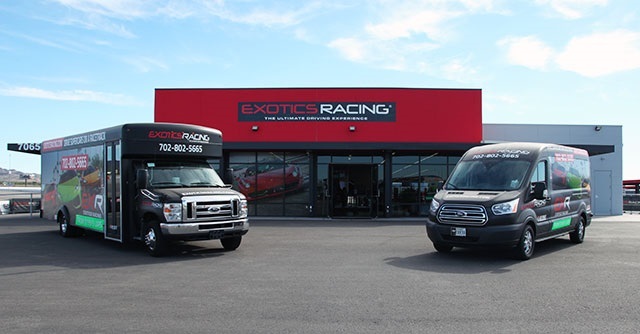 This state-of-the-art facility encompasses the longest road course in North America, Exotics Racing will operate on the challenging 1.6-mile East Track* which combines 2 fast straightaways with a total of 11 thrilling corners. 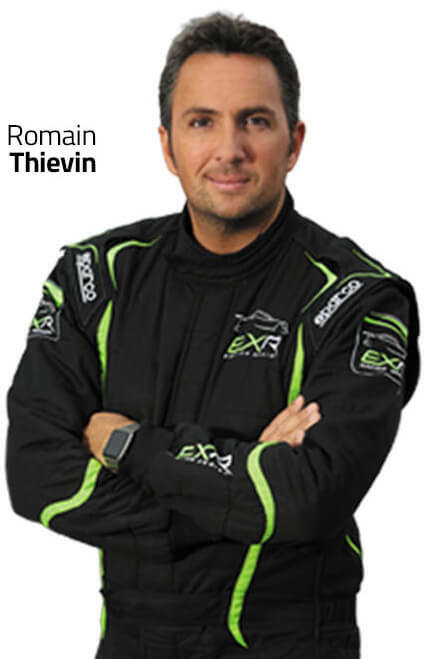 Voted the best thrill ride in Las Vegas, ride as a passenger while a professional racer takes you for the Supercar full speed experience. Drifting is available with the Dodge Charger SRT Hellcat for up to 3 passengers. Perfect for guest and kids from 11 years old. 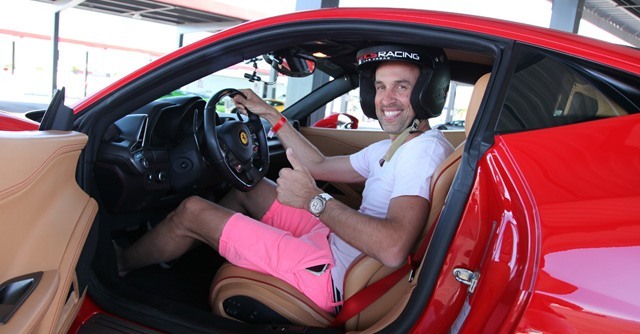 The High Performance Driving Experience provides you with in-depth training so you can dominate the track in a supercar. 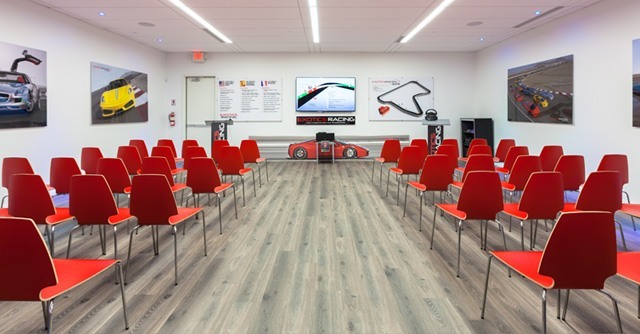 The Racing School is the next level experience for drivers who want to pilot a real racecar on a racetrack. 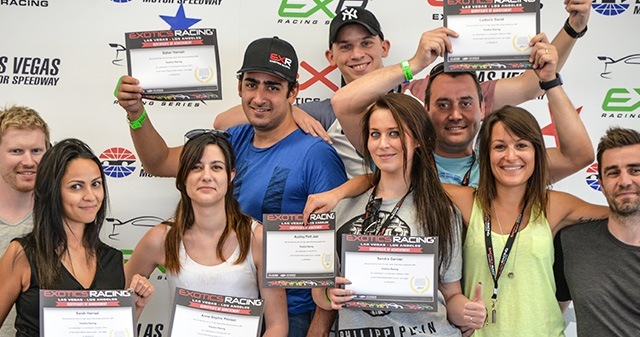 Exotics Racing provides groups a unique venue to host a top-level event for your corporate or personal guests. Our dedicated team is at your disposal to help you build an incomparable event. From the VIP Concierge Service and private business lounge access to dedicated one-on-one coaching, personalize your unforgettable VIP experience with us. 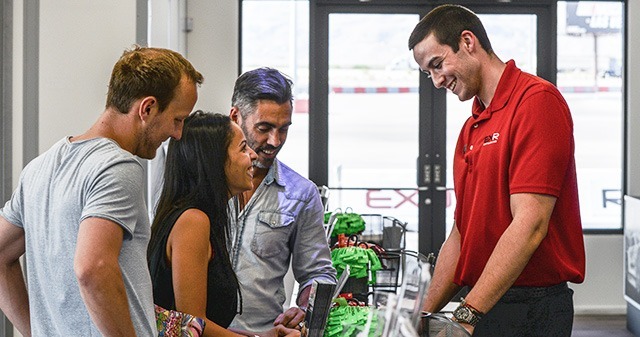 An Exotics Racing driving experience is the most exhilarating gift for any occasion. 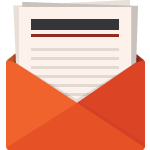 With our all-inclusive pricing, select a pre-built gift package or specify your own dollar amount and offer the gift of a lifetime!